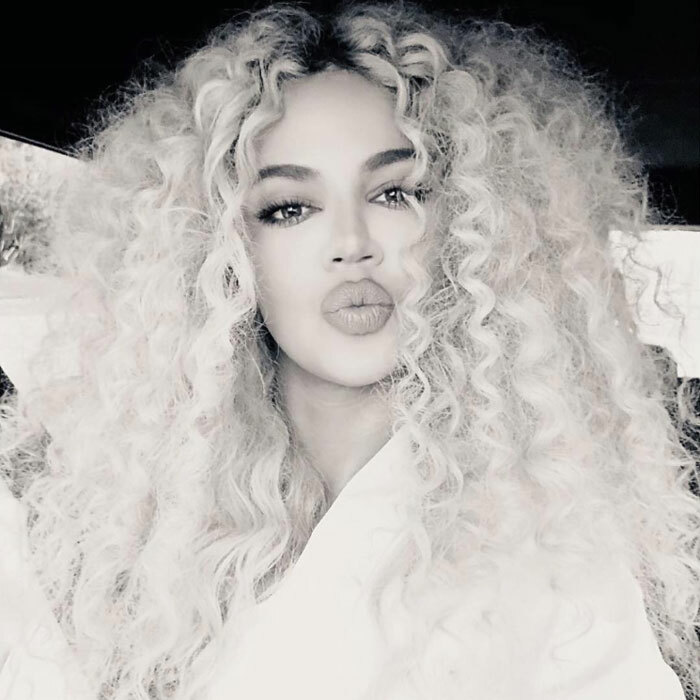 In case you missed it, Khloe Kardashian went all out for Diana Ross ’ 75th birthday celebration in Los Angeles like the true diva she is. Naturally, the 34-year-old star channeled her best Ross-inspired look from head to toe. Although Hollywood’s biggest A-listers were in attendance for the spectacular affair, the TV reality star’s entire look paid tributetoDiana’s style and grace. From her ready-to-wear metallic gold gown to her fabulous bigger-than-life curly wig, the 34-year-old star embodied the essence of 70’s beauty. Khloe's longtime hair-guru, Andrew Fitzsimons, created a big curly afro to pay homage to Ross' trademark hairstyle. Since the Good American designer is known for her sleek and short blunt cut, her new afro wig broke the internet. It’s safe to say her vibrant, voluminousand curly-textured look stole the show. Though the wig was meant for the special occasionKhloe has been spotted around Los Angeles rocking her new look in various places. Like fashion, many of the best hair inspirations come from the most alluring and iconic of stars like Diana Ross.